Alpha Pharma Mastabolin is drostanolone propionate dosed at 100mg/ml and comes in a sealed 10 amp pack. Considered to be one of the more specialised steroids on the market, it’s a great product to use while cutting. Used by bodybuilders pre contest due to it’s anti estrogen properties and it’s ability to cut fat. characteristics of its included substance. Drostanolone propionate is a synthetic derivative of dihydrotestosterone. This causes the Masteron not to aromatize in any dosage and thus, it cannot be converted into estrogens. Since Masteron is a predominantly androgenic steroid, the athlete can increase his androgen level without also risking an increase in his estrogen level. production by inhibiting the aromatase enzyme. This would decrease the side effects of too much estrogen in the body. Using Masteron can really aid the physique by giving it a hard smooth look. Athletes are also big fans of this drug as it can improve performance but not have any estrogenic effects, no weight gain just lean muscle and lower body fat. Masteron can be stacked with numerous products including winstrol, test propionate, trenbolone and primobolon. 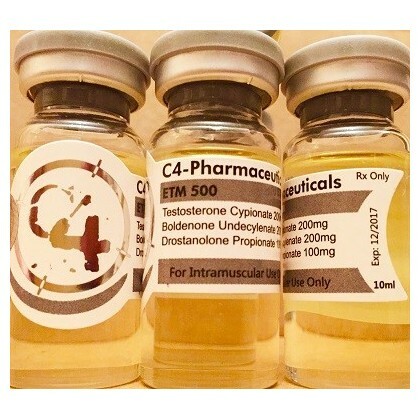 Drostanolone propionate needs to be injected 3 times per week as a minimum due to the propionate ester, so when stacking with the above compounds make sure you use the propionate ester or the fast releasing esters so that injection frequency is the same.